The training battle continues as Fate is hotly pursued by Nahoha, only to be lead to Erio, who shatters her barrier jacket. Vivio and Subaru knock down Nove, while Lutecia and Rio attempt to knock out Caro, who delays the two until Corona comes in and knocks them out. 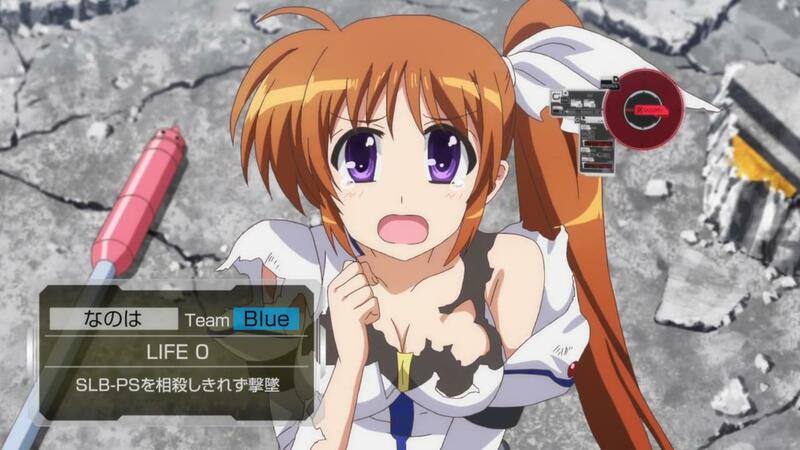 Caro’s celebration is short lived as Nanoha knocks her out and binds Corona. 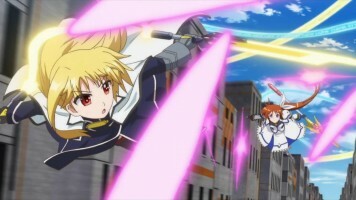 With Nanoha’s magic running low, she decides to end the battle by bombarding the field. Tia warns her comrades and prepares her own Starlight Breaker to counter Nanoha’s Starlight Breaker. The resulting blast takes out nearly everyone, including Nanoha. Tia has only a bit of life in her when she sees two others “alive,” one of whom is coming at her. 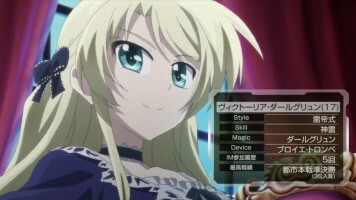 It is Vivio who launches an attack. 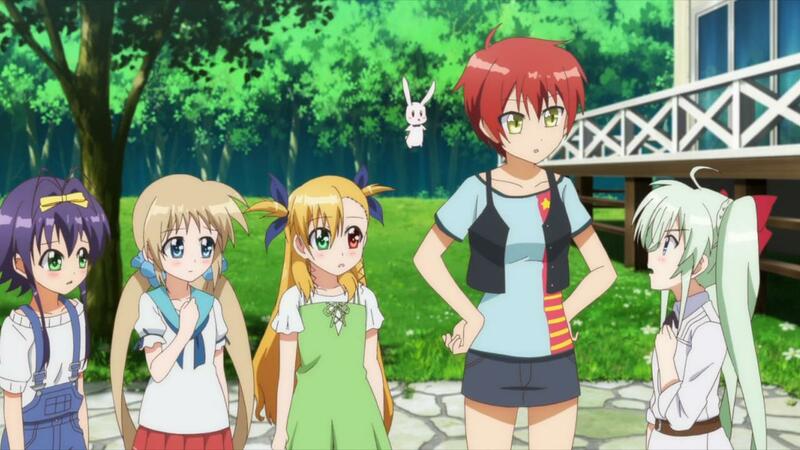 That attack is countered by Einhart, but Vivio manage to get a hit on Tia just the same. 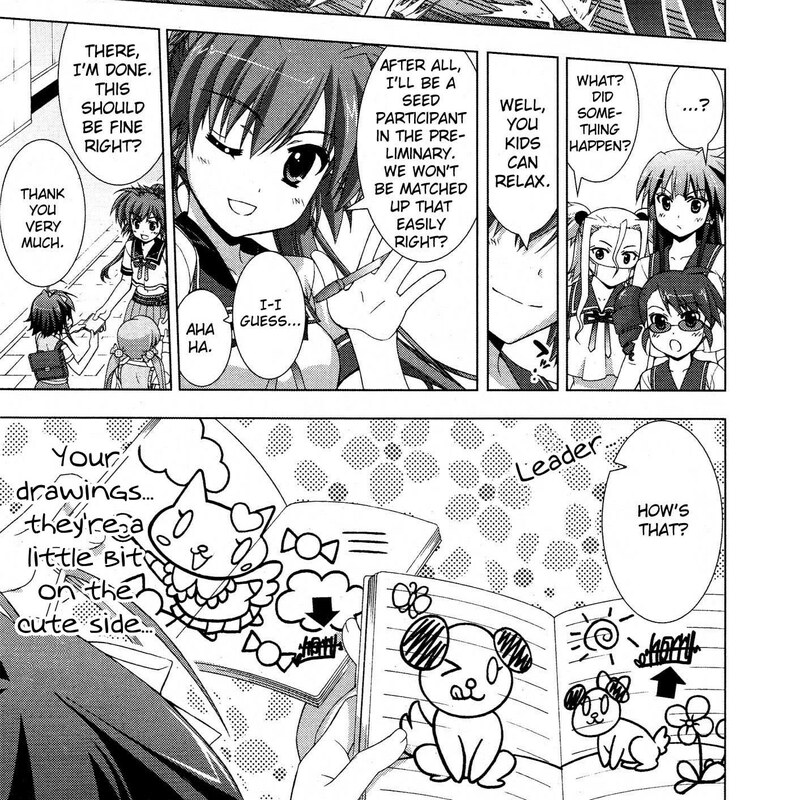 Vivio and Einhart battle, where Vivio shows she’s improved. The result is that both knock themselves out, meaning no one survived the battle. After refreshments, the groups form new teams to battle two additional times. Afterward, Vivio, Rio, Corona, and Einhart find themselves very exhausted. Lutecia tells them about Inter-Middle Championship tournament, which they are all eager to go to. 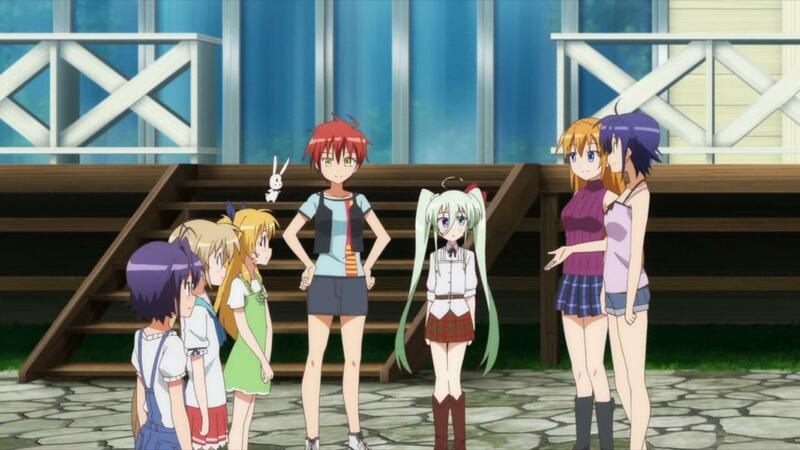 That night, Einhart wonders if this tournament will be enough for Klaus. 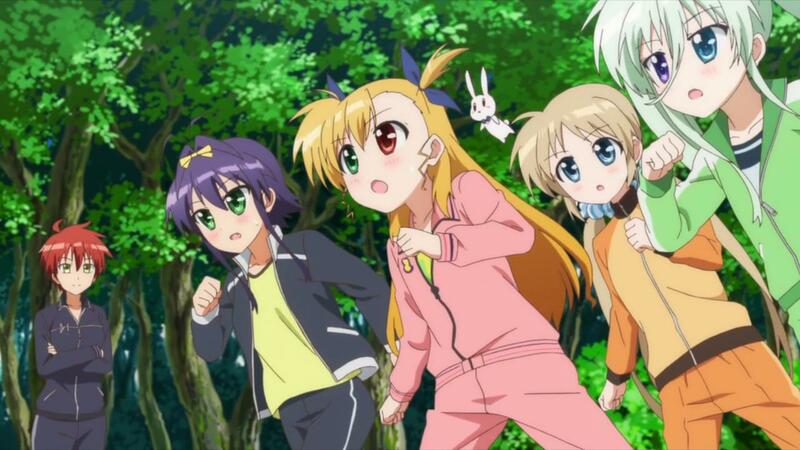 The following day, Nove, who’s to be the girls’ coach, and Vivio go for a walk to talk about things. 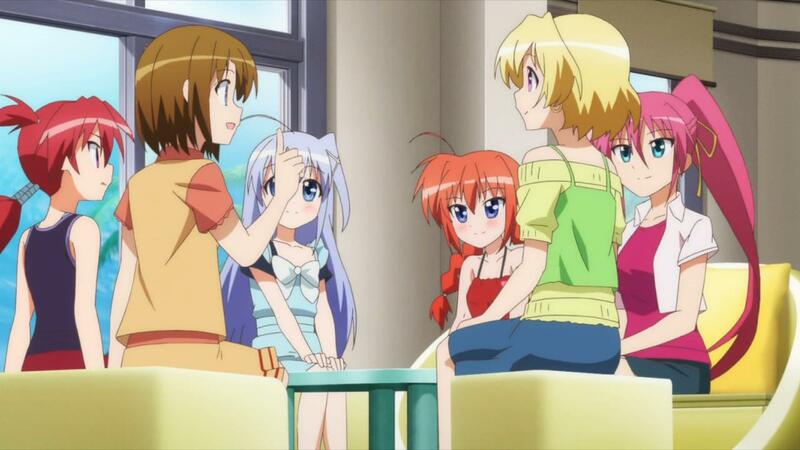 At the house, Lutecia contacts Hayate about getting Einhart a proper Device, which is needed for the tournament. Hayate, Rein, and Agito say they will get to work on that for her. Hayate, Rein, and Agito then join their companions Signum, Shamal, and Vita to discuss Einhart and the tournament. Elsewhere, Zafira is training a young girl named Miura. In a school, a group of yankee girls talk to their “Leader” who is entering the tournament. Other tournament participants are shown including an ojousama type and a lone person in a hoodie. 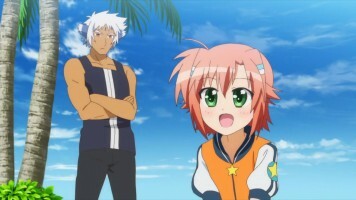 I know that the Magical Girl Lyrical Nanoha franchise is a seinen one, which means it can get away with higher levels of fanservice. But still, did we really need to see a defeated Fate doing a gravure idol pose? I’m sure the guys who consider her their waifu were pleased, but I’m thinking, “Whatever” and rolling my eyes. 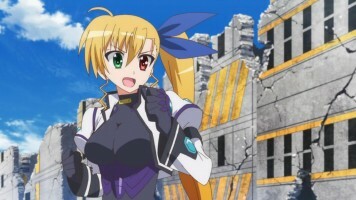 I was somewhat disappointed that Fate got defeated, but from what little we saw, she was under attack by Nanoha and ran into a waiting Erio, so I could understand that one. 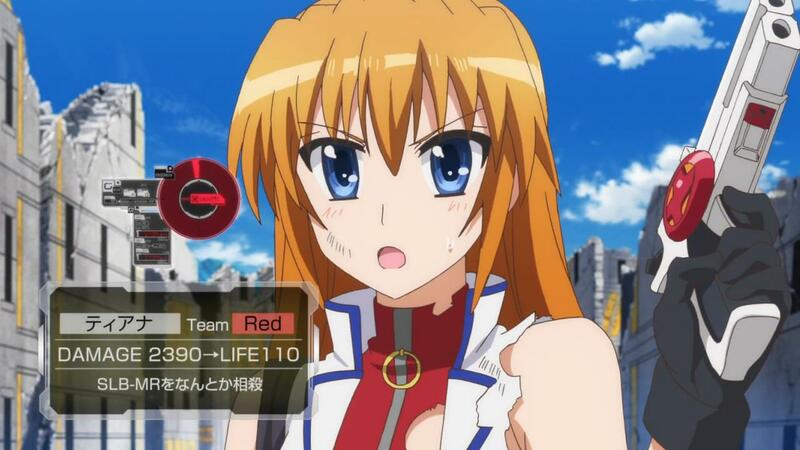 I was highly disappointed that Nanoha got defeated. 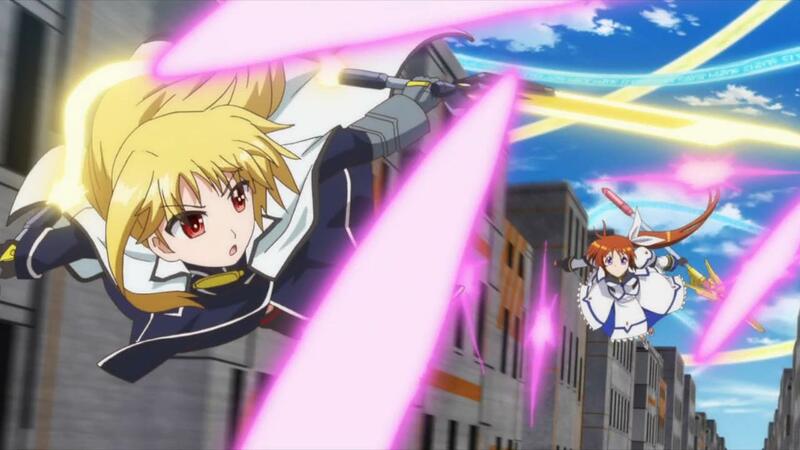 Nanoha mentioned being low on magic before she started her Starlight Breaker move, so I guess she didn’t have enough left to defend against Tia’s counter Starlight Breaker. 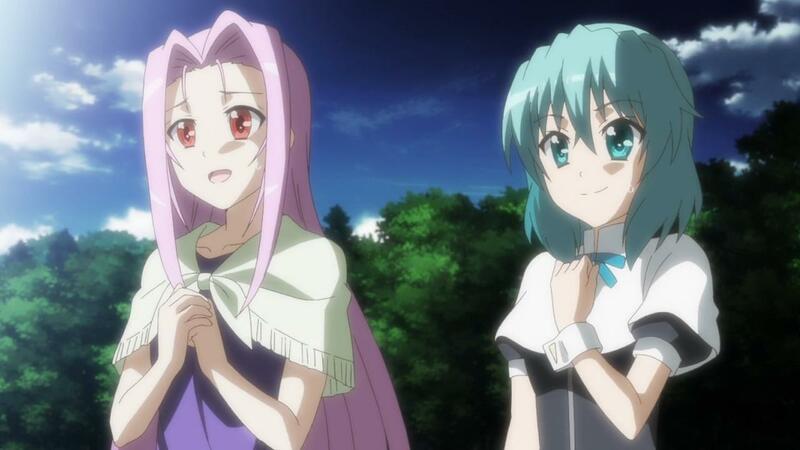 However, I am reminded that this series is about Vivio (the new Nanoha) and Einhart (the new Fate), so Nanoha and Fate have to be set aside so that Vivio and Einhart can duke it out again. I was VERY excited to see that Hayate, Rein, Agito, Signum, Shamal, and Vita again, even if only in this cameo role with limited speaking parts. I had been thinking that all of them should have come on this working vacation to Lutecia’s and Megan’s place, but that is six people (seven counting Zafira), which would be too many for what the story is trying to do. Speaking of Zafira, he’s training some girl I’d never heard of before. I looked up Miura, and I see she is new for the ViVid series, though I guess she was referenced generically in another media before the ViVid manga. 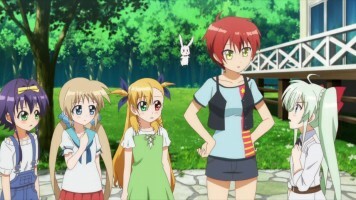 With this tournament coming up, the focus of the series will likely shift to Nove, Vivio, Rio, Corona, and Einhart as well as the various opponents shown in the montage at the end of the episode. I’m not a big tournament fan, as I’ve remarked on in recent UQ Holder manga reviews, but that’s not going to stop me from watching the Magical Girl Lyrical Nanoha ViVid anime series. 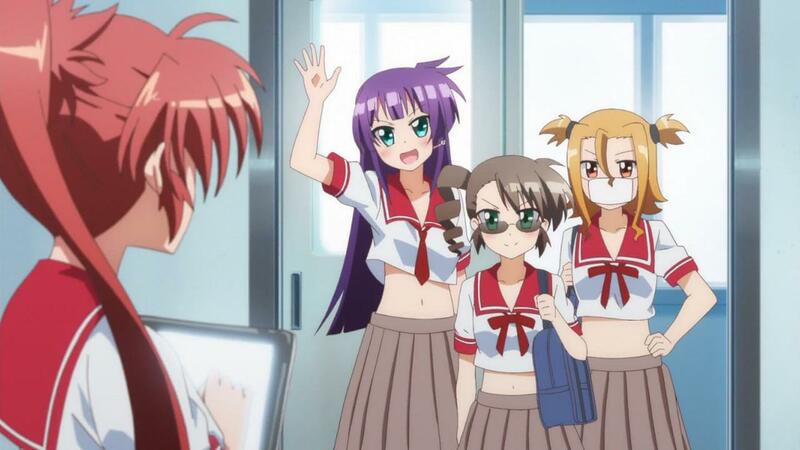 In the end, I could have done without he excessive Fate service (even if she is my favorite character), but the episode was fine otherwise for a longtime fan of the franchise, especially with the added bonus of seeing Hayate’s and her crew. 😆 OK, I did not know that, but thanks for letting me know. I knew the manga is a seinen one, so I guess they were taking advantage of that format. It still makes no sense for Fate to pose that way other than for young men who consider her their waifu to get their enjoyment. The Japanese really should research Western names before haphazardly using them. *_* Thanks for the info.